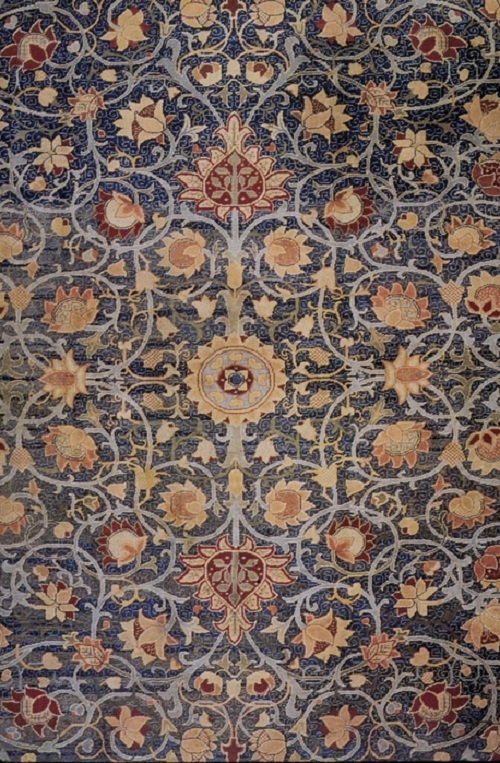 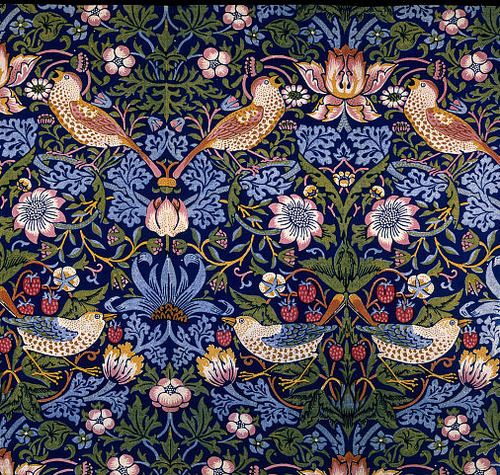 The Metropolitan Museum of Art has held William Morris Textiles and Wallpaper exhibition since February 3 (through July 20), 2014. 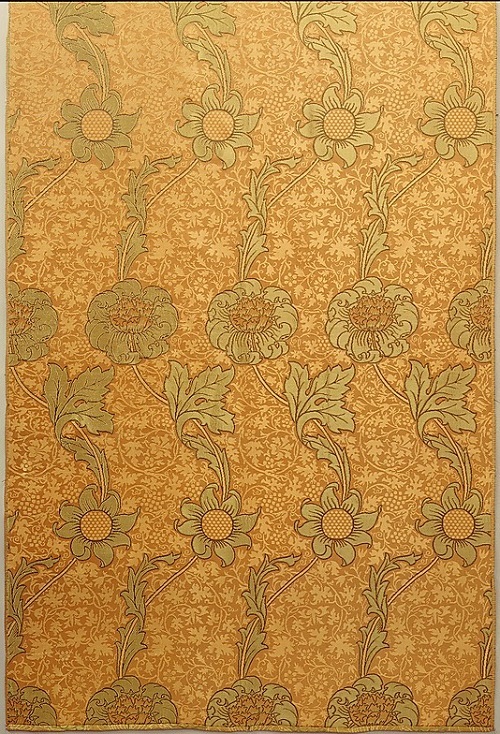 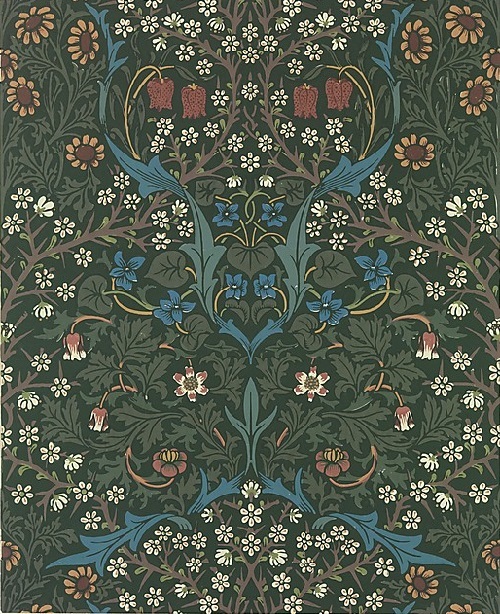 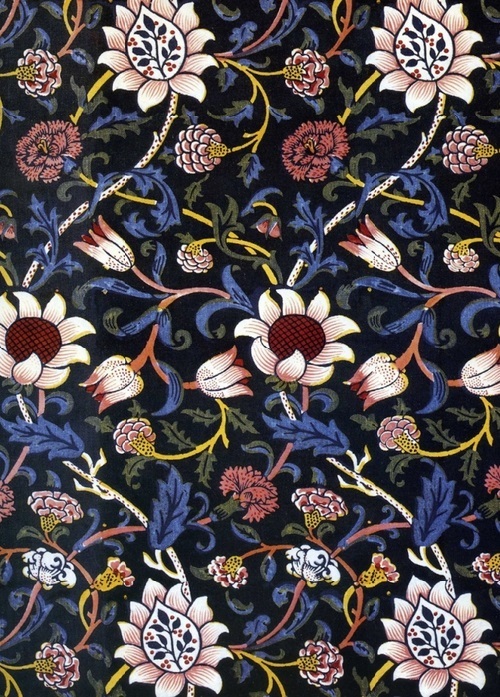 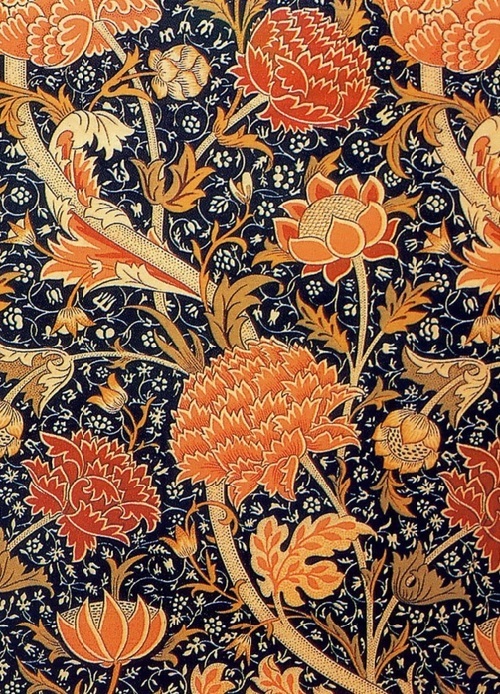 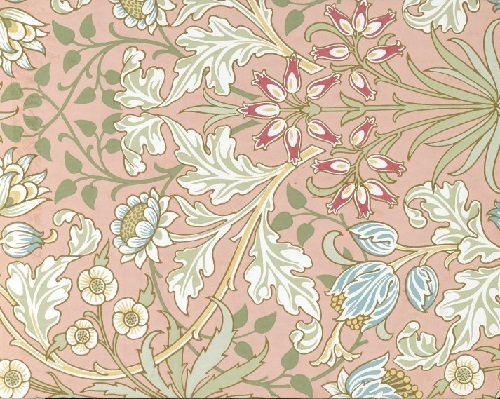 English textile designer William Morris (1834–1896) was the leader of the British Arts and Crafts movement of the second half of the 19th century. 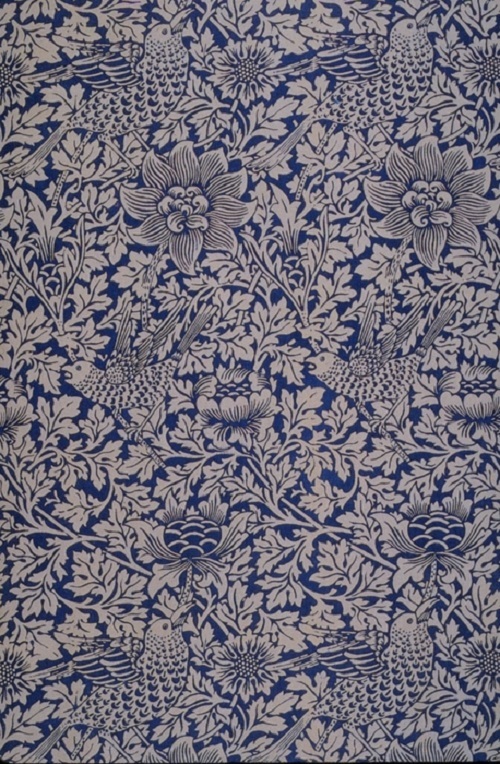 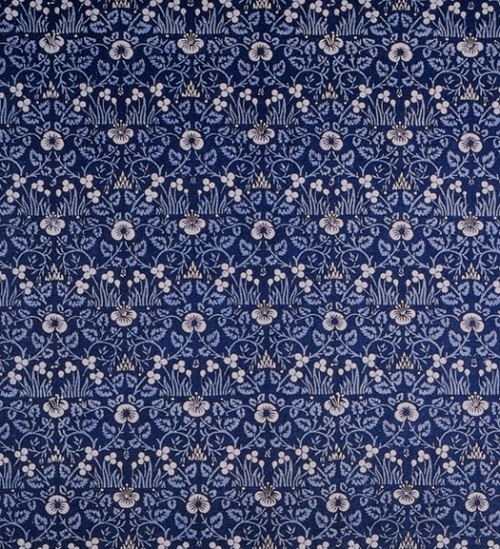 He was a major contributor to the revival of traditional textile arts and methods of production in Britain. 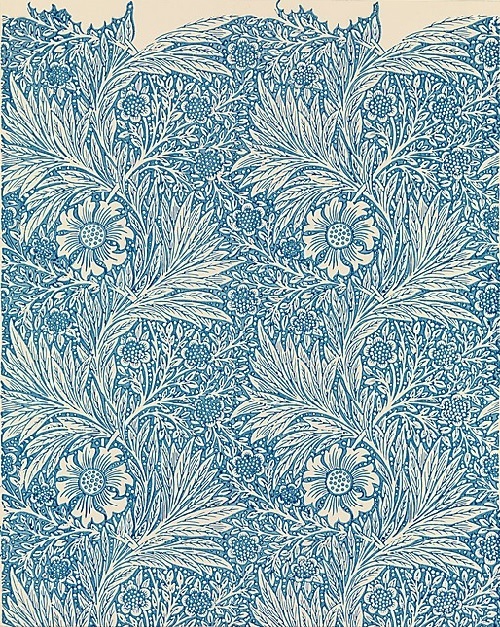 His enterprise, originally founded as Morris, Marshall, Faulkner, in 1861, became Morris & Company in 1875. 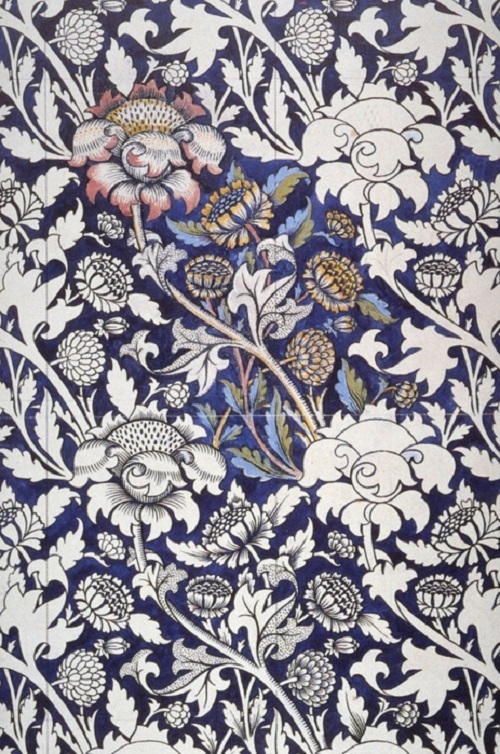 They produced a variety of decorative arts, with textiles and wallpapers comprising a large portion of their artistic output. 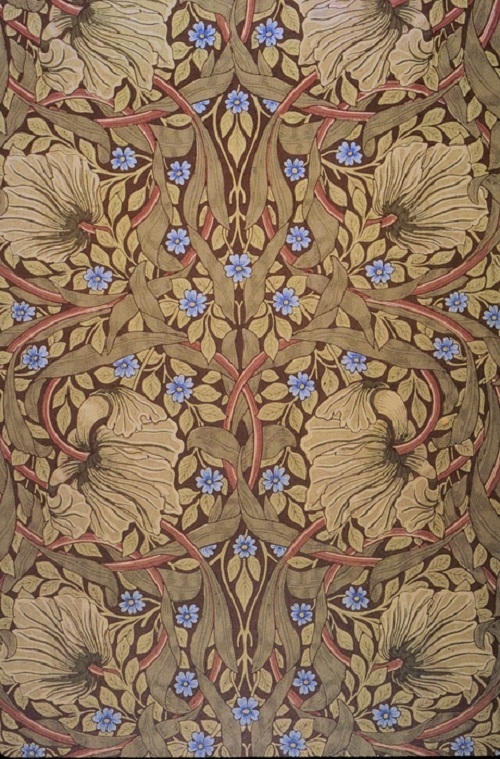 In 1923, the Metropolitan acquired the institution’s first examples from the oeuvre of Morris & Company, and a selection of these are shown in the exhibition. 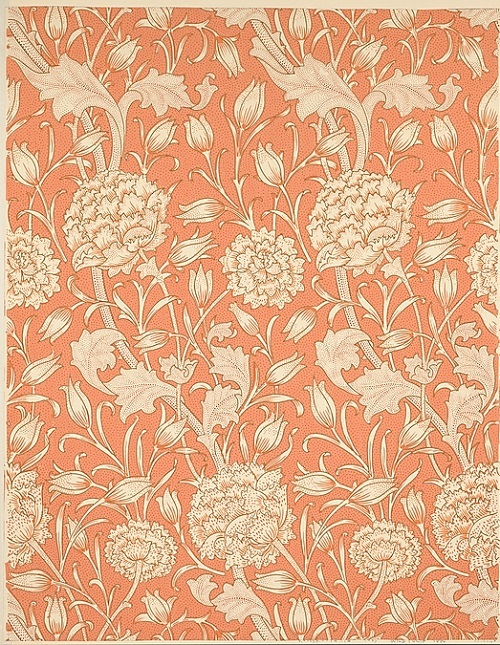 During his lifetime, William Morris produced items in a range of crafts, mainly those to do with furnishing and building. 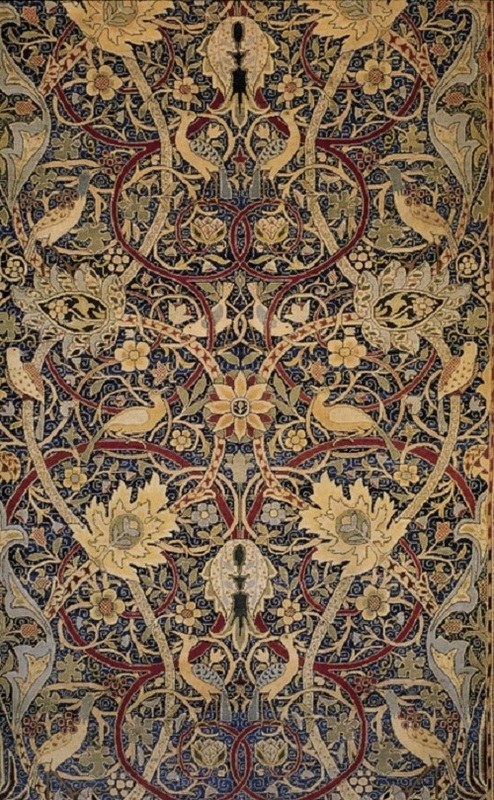 He emphasized the idea that the design and production of an item should not be divorced from one another, and that where possible those creating items should be artist-craftsmen, thereby both designing and manufacturing their goods. 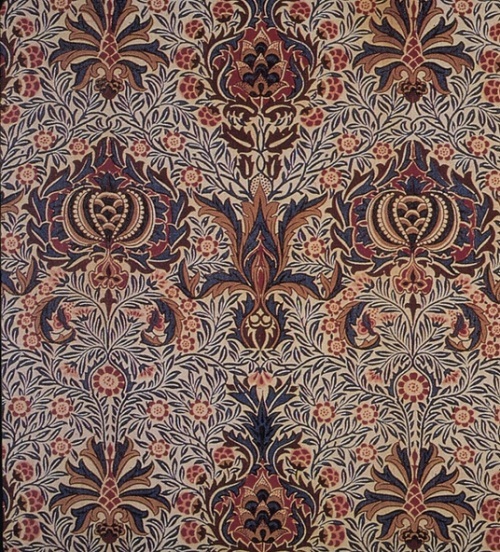 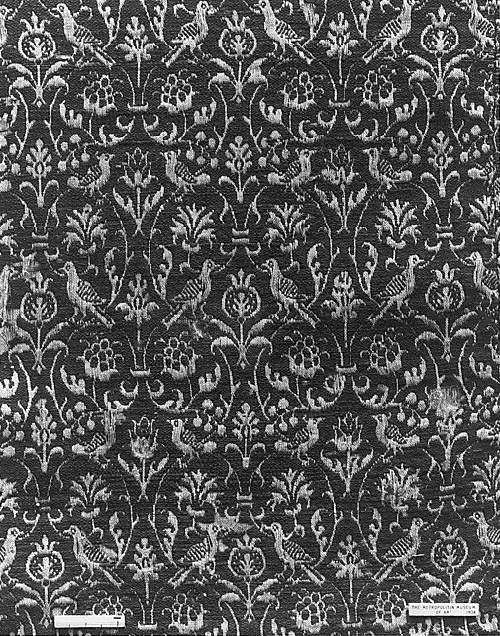 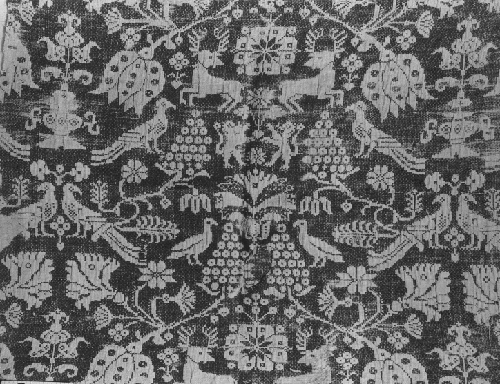 Morris & Co.’s designs were fashionable among Britain’s upper and middle-classes. 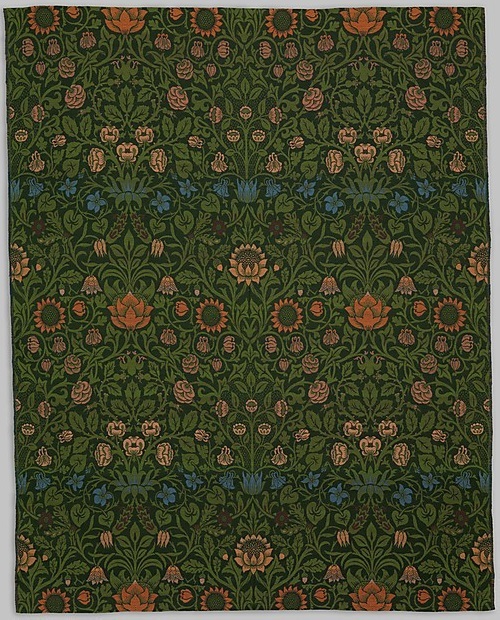 Morris’s patterns for woven textiles, some of which were also machine made under ordinary commercial conditions, included intricate double-woven furnishing fabrics in which two sets of warps and wefts are interlinked to create complex gradations of color and texture. 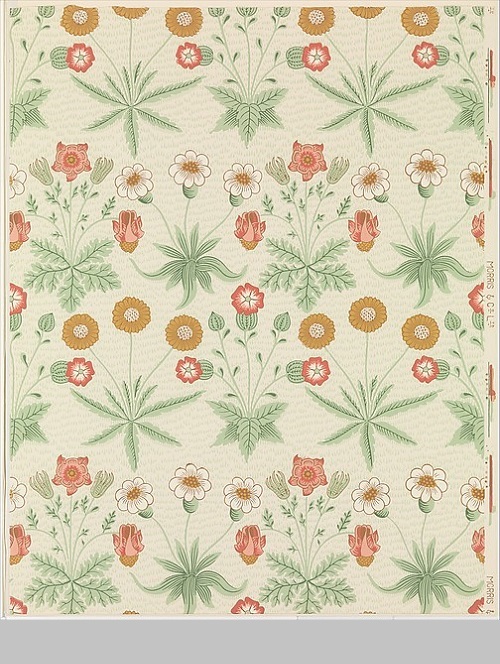 His textile designs are still popular today, sometimes recolored for modern sensibilities, but also in the original and bright colorways.